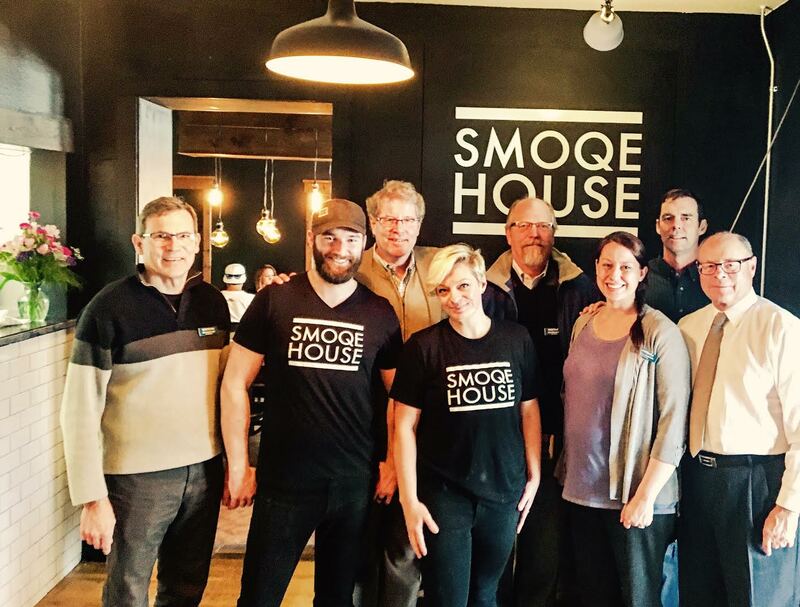 This week I went along with a welcoming delegation from the NDDC to pay a visit to Downtown Northfield’s newest dining venue, Smoqehouse. 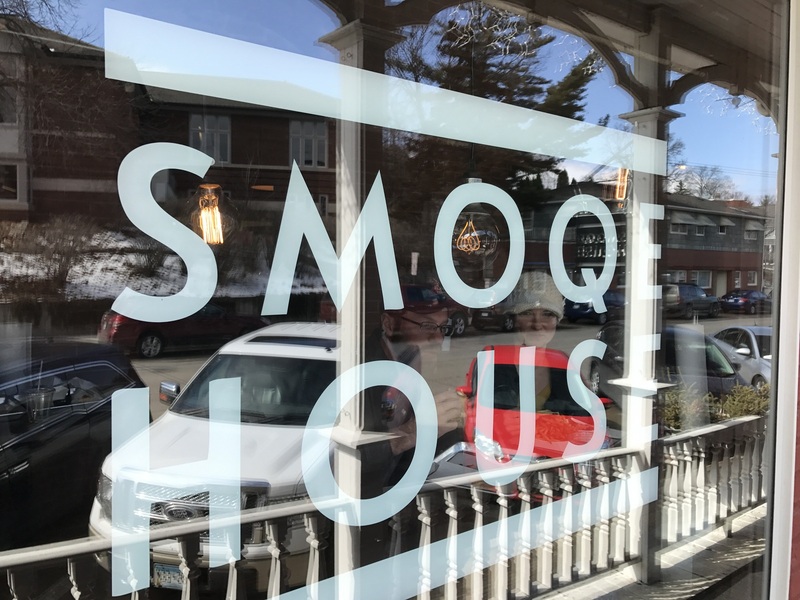 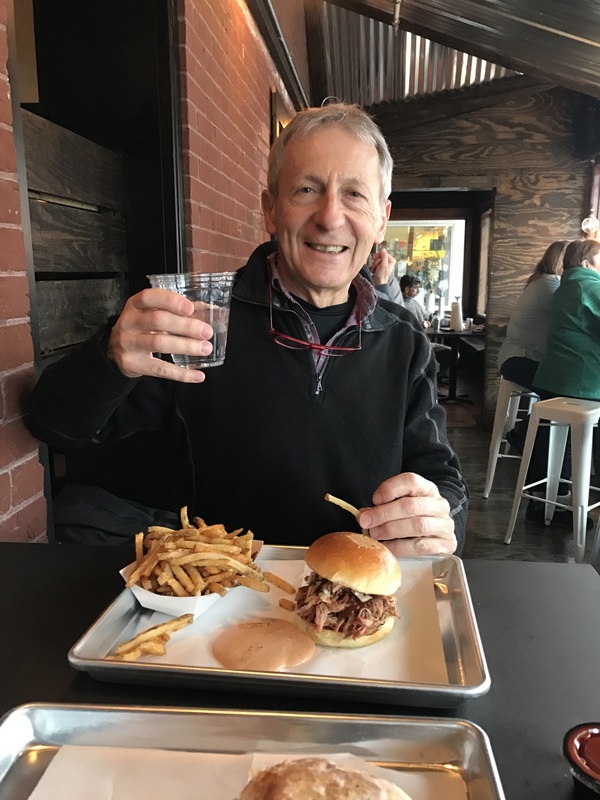 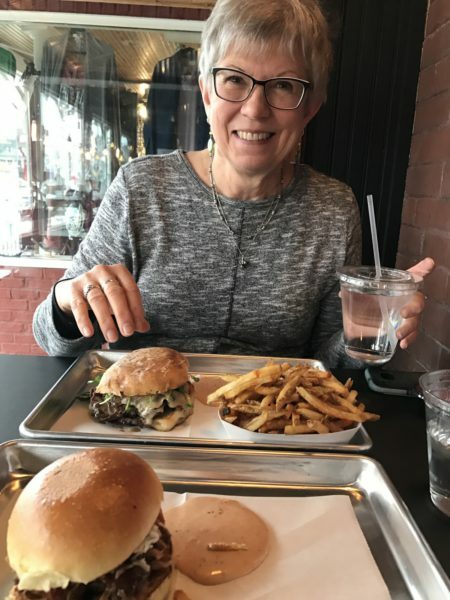 Owners Andy and Heidi Kubes opened Smoqehouse on March 15th at 212 Division St. in the Archer House River Inn and have quickly generated a steady stream of daily patrons. 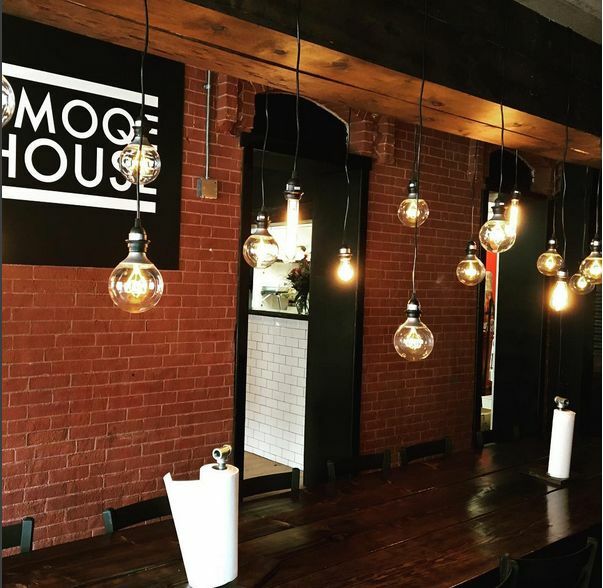 Smoqehouse is a fast casual eatery featuring handcrafted sandwiches with smoked pork, chicken and beef, salads and soups. 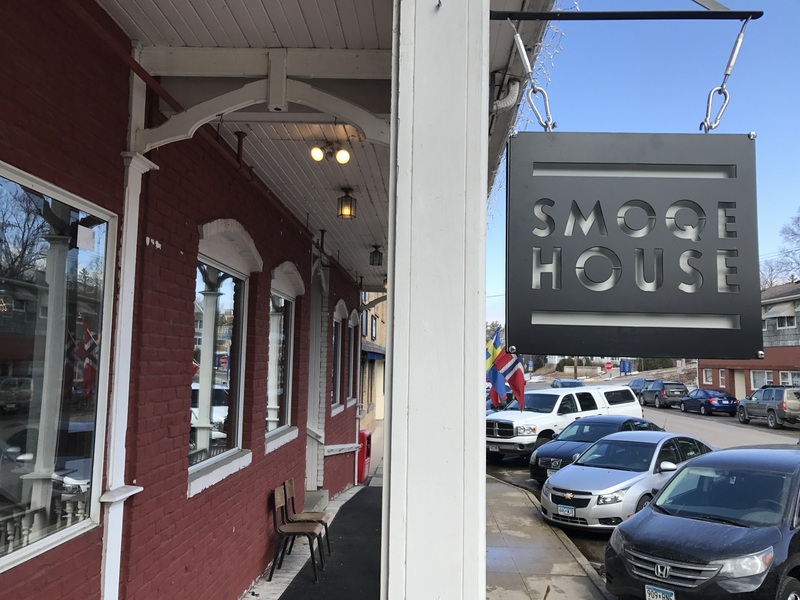 The café in Northfield is the second location for Smoqehouse. 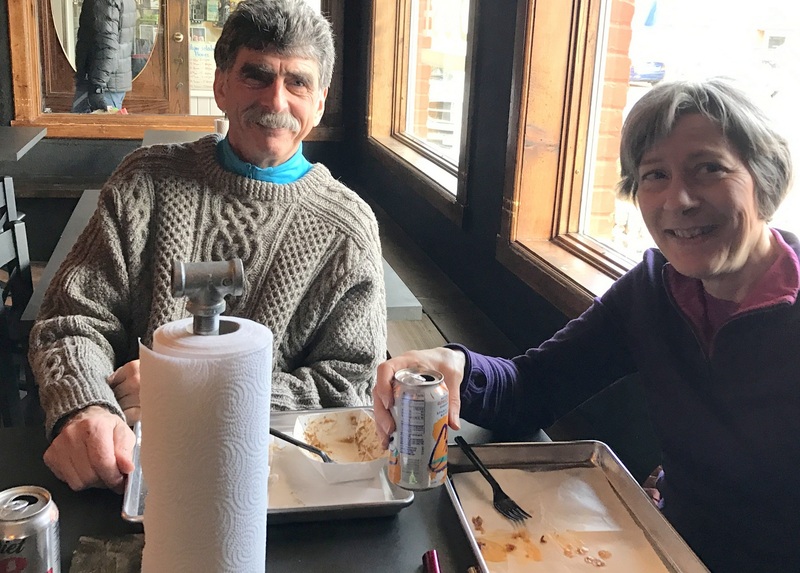 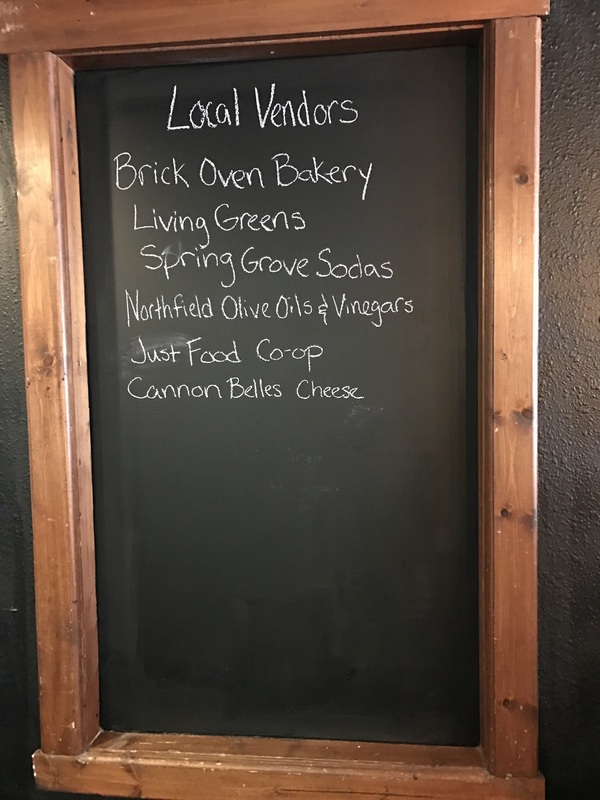 Andy and Heidi located their first restaurant in Faribault, Minnesota in the fall of 2015. Foodie magazine HeavyTable.com called their porchetta sandwich “one of the best sandwiches in the state.” Smoqehouse uses ingredients from local sources like Downtown Northfield’s own Brick Oven Bakery and Northfield Olive Oils and Vinegars. 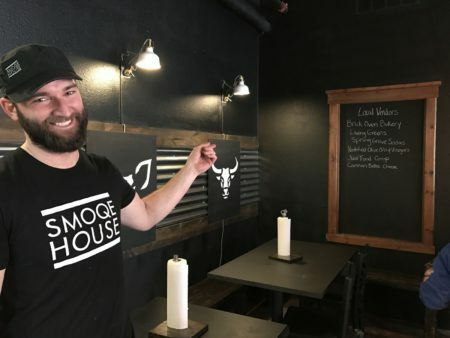 The restaurant occupies the Archer House space formerly used by Bittersweet Café. However, diners who are familiar with the previous tenant won’t recognize the space. 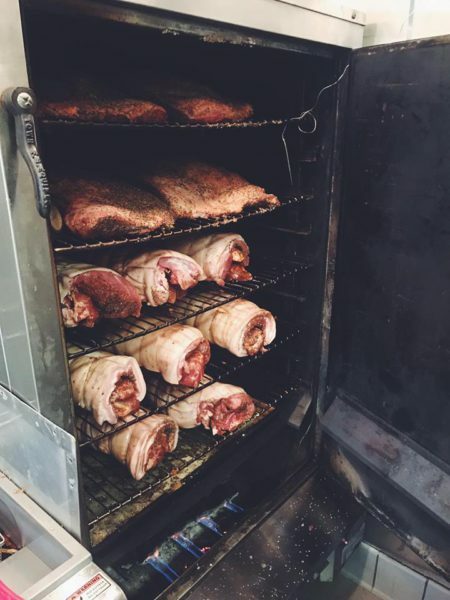 Andy told us that they basically gutted the space and rebuilt it from a bare shell, doing much of the work themselves. They separated the kitchen and order counter from the seating areas and traffic seems to flow much more smoothly with the new floor plan. Future enhancements include craft beer and possibly wine in the coming months. Smoqehouse offers takeout catering and occasionally operates a food truck during the summer as well. Smoqehouse is open Monday – Saturday from 11am-7pm. They’re closed on Sunday.